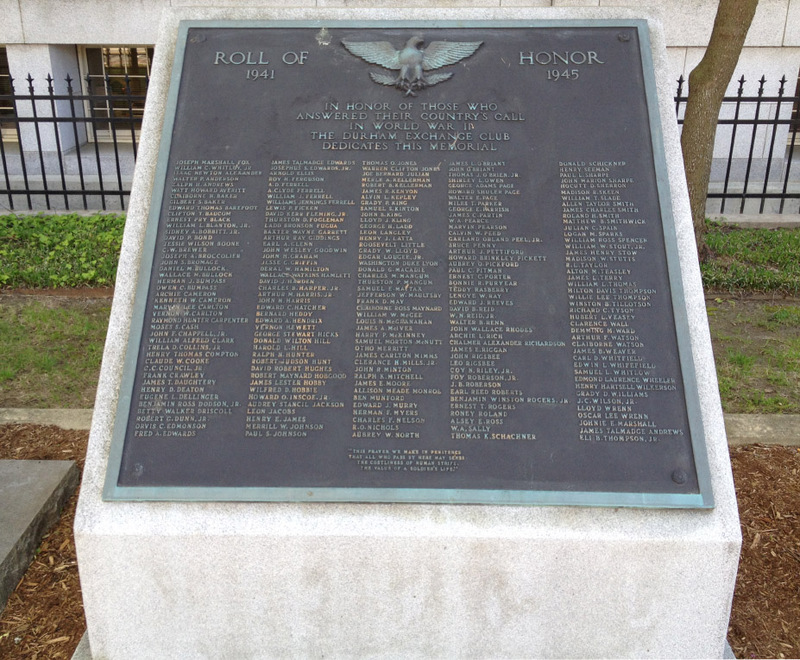 IN HONOR OF THOSE WHO ANSWERED THEIR COUNTY'S CALL IN WORLD WAR II THE DURHAM EXCHANGE CLUB DEDICATES THIS MEMORIAL"
'This Prayer we make in penitence / that all who pass by here may sense the costliness of human strife / the value of a soldier's life.'" JESSie W ILSON UOUN . JOHN IE Eo MARSHALL .